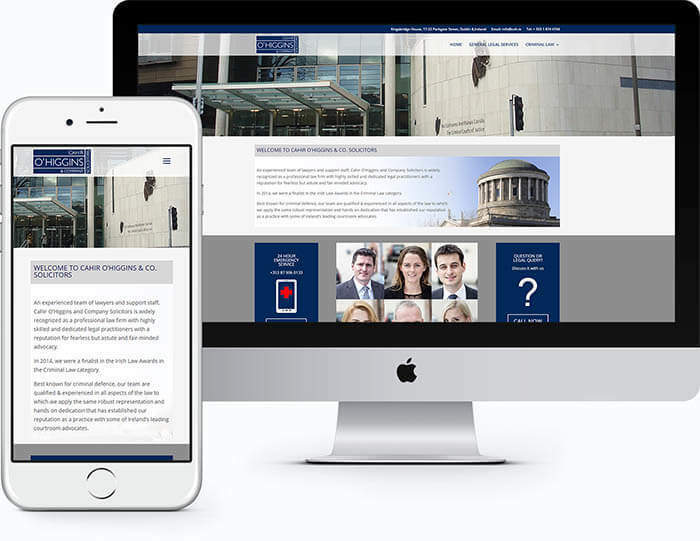 Cahir O’Higgins & Co. is one of the leading firms of solicitors in Dublin city centre. Best known for its expertise in the field of criminal law, the firm deals with all aspects of the law including extradition, white collar crime & protest cases. Their website is a professional online brochure that features the company and outlines the services they provide. The website also features a location map & contact details together with an enquiry form for potential clients looking to make contact online or outside office hours.